Give Miami Day is the biggest annual giving event in South Florida. In fact, it is one of the biggest annual giving events in the United States. For 24 hours, beginning at 12:00 a.m. on November 15th and ending at 12:00 a.m. on November 16, 2018, any donation you make to support the Children's Bereavement Center (CBC) through The Give Miami Day website will receive a percentage match from The Miami Foundation, increasing the impact of your gift like no other day. Throughout the day, individuals may view online profiles of hundreds of nonprofit organizations serving Miami-Dade County and make a charitable gift directly on givemiamiday.org. 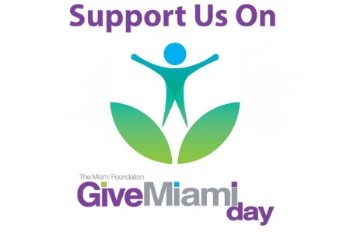 The Miami Foundation, and their partners, will maximize the community's generosity by making a bonus gift for every donation between $25 and $10,000 received on November 15th through givemiamiday.org. For a sneak peek at Children's Bereavement Center's profile, follow this link. The CBC provides free peer support groups for children, teens, young adults, and their families after loss in Miami-Dade, Broward, and Palm Beach counties. 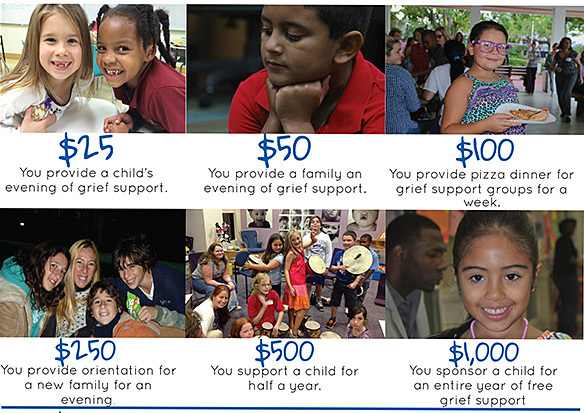 All proceeds from Give Miami Day support CBC peer support groups in the aftermath of loss.